Advance Financial loan agreements are governed by the applicable laws of the State of Tennessee. You can receive a cash advance starting at $25 up to $4000. Minimum and Maximum payments by amount borrowed and loan length. These rates and terms are examples for Tennessee only. 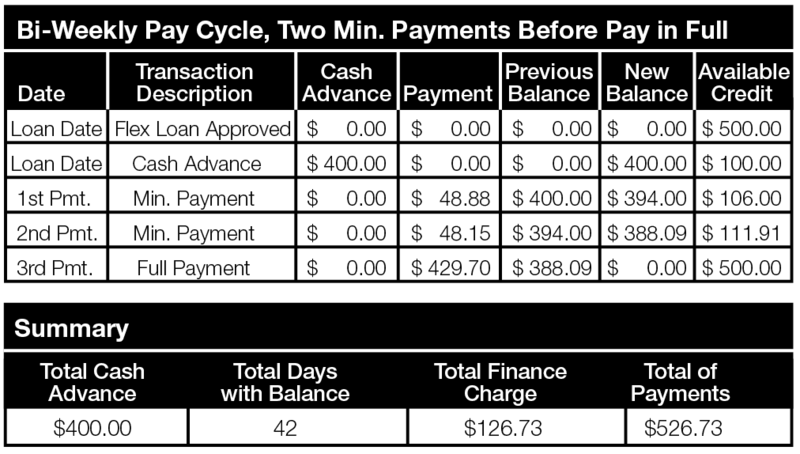 The example below shows one cash advance with two minimum payments prior to payment in full. This is only an example. We do not require two minimum payments prior to payment in full. This payment example is for Tennessee only.